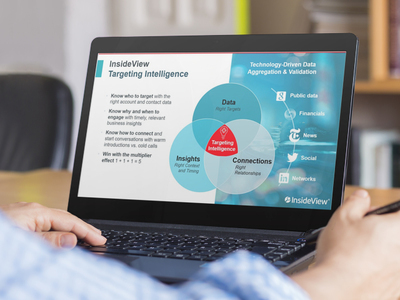 InsideView Append is designed to attach comprehensive, continuously refreshed company data to Salesforce accounts. This can help customers better target and engage prospective customers with deeper insight into company data. Consulting firm Bluewolf recently released its annual The State of Salesforce report that revealed CRM has become an enterprise-wide platform that can unite sales, service, marketing and the back office. The report, produced in partnership with the MIT Sloan School of Management, surveyed more than 450 Salesforce users throughout North America, Europe and Australia. Industry observers speculate that Salesforce.com is taking a more adversarial stance toward some competing marketing automation vendors in the wake of its announced plans to acquire ExactTarget. Marketo was slated to have a booth and a speaking slot at a Salesforce customer event last week in New York, but they did not have a presence. Silverpop was the only marketing automation vendor to have a booth at the event. Sources told Demand Gen Report that Marketo was excluded from the event because of a conflict over some recent unspecified comments made by Marketo officials, but the friction has been resolved. Marketo is expected to be involved in a Toronto event this Wednesday, according to Salesforce officials. Marketo and Eloqua are no longer listed on the SFDC AppExchange, although HubSpot remains on the exchange. Is Marketing Automation Next On Salesforce.com's Acquisition Agenda? Over the past two years, Salesforce.com has embraced social media marketing as a key part of its long-term growth strategy. Today, as the company consolidates its acquisitions of Buddy Media and Radian6, some industry-watchers are asking whether a marketing automation vendor might be the next item on its shopping list. The speculation has focused on Salesforce.com's recent embrace of the term "marketing cloud," and whether the company aims to extend the concept beyond its current focus on social media marketing. "I am really excited about the Marketing Cloud," Benioff said during the company's Q1 earnings call. "I really think it is a multibillion-dollar opportunity just as we've seen the Sales Cloud is and the Service Cloud is and the platform is . . . By the time we get to Dreamforce [in September 2012], I think now we'll have a lot to talk about in regards to the marketing cloud." Email marketing and social media marketing company iContact recently announced the continued momentum of iContact for Salesforce during the 2011 Dreamforce conference. Since its inception, iContact has prioritized its integration with Salesforce.com’s CRM products and has seen significant growth within BtoB organizations integrating the solution. “In just one year, we’ve seen strong global adoption of iContact for Salesforce,” said Ryan Allis, CEO of iContact in a press release. Currently there are more than 500 salesforce.com customers in the AppExchange since the launch of iContact for Salesforce in September 2010. Earlier this week at the Dreamforce Conference, iContact Corp. featured its new iContact for Salesforce on Salesforce AppExchange, the online marketplace for cloud computing applications. iContact for Salesforce is designed to provide seamless integration of the Salesforce CRM with iContact's email marketing services. The solution enables Professional & Enterprise-level Salesforce users to create, send and track relevant and targeted emails, focused on ultimately turning leads into customers more quickly.